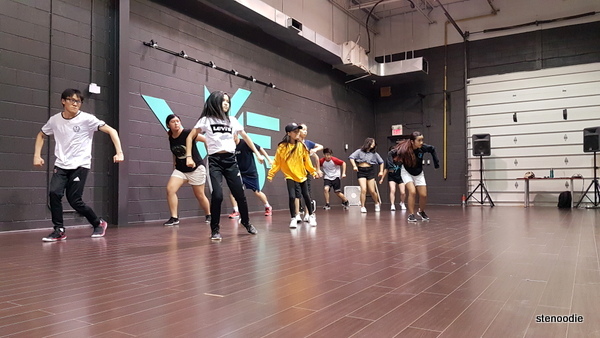 VYbE (pronounced “vibe) is a dance company situated in Markham that hosts hip hop, K-Pop, urban choreography dance classes, and more. I’m so glad that Natalie invited me to join her for a drop-in class because this would have been out of my interest range for sure. It was so fun to try something new and out of my interest or ability. You literally don’t care and dance like no one is watching. 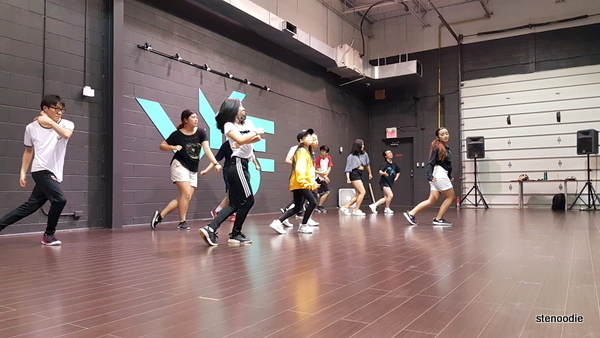 We had intended to take the 5:35 p.m. Sunday K-pop class, but we found out before arriving through their Instagram page that the K-pop class was suddenly cancelled that day! 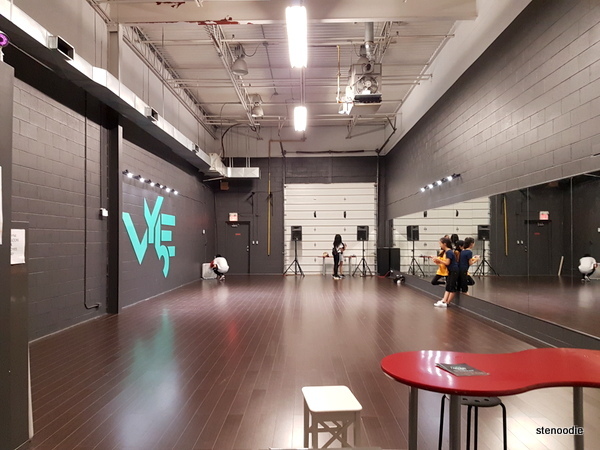 We had been looking forward to it but went with the Urban Choreography class which was at the same time slot instead since we didn’t want to completely cancel our plans. 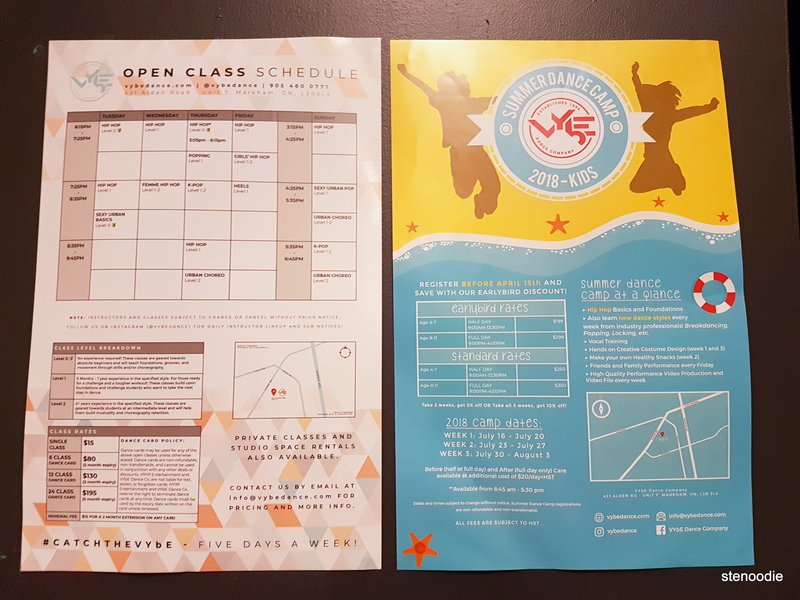 I read the details afterward and the level 2 class actually was appropriate for those who have TWO years + of experience in the dance subject. 😂😂😂😂 Talk about incompatibility of student to class description. Oh well. We survived anyway and it was fun to try. What I loved most was watching the instructor and the really senior students do the dance routine flawlessly. I cannot move like that in a million years, I know. Lol I’m just not made to move like that. At the end of the class, we split into two groups to dance the full choreography for the instructor. Flubbing works haha. By the way, I couldn’t stop re-watching these videos. I liked the beat and vibe (heh) of the music and I love the passion behind the eyes of those that were really good at it. I admire and respect their skills so much! So much appreciation for hip hop dancers every time I see this dance form now. Our drop-in class was $15 for a single class. 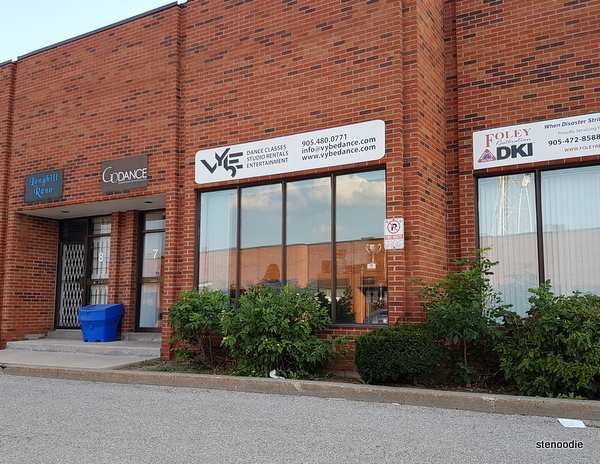 They offer better deals for multiple classes on their website. 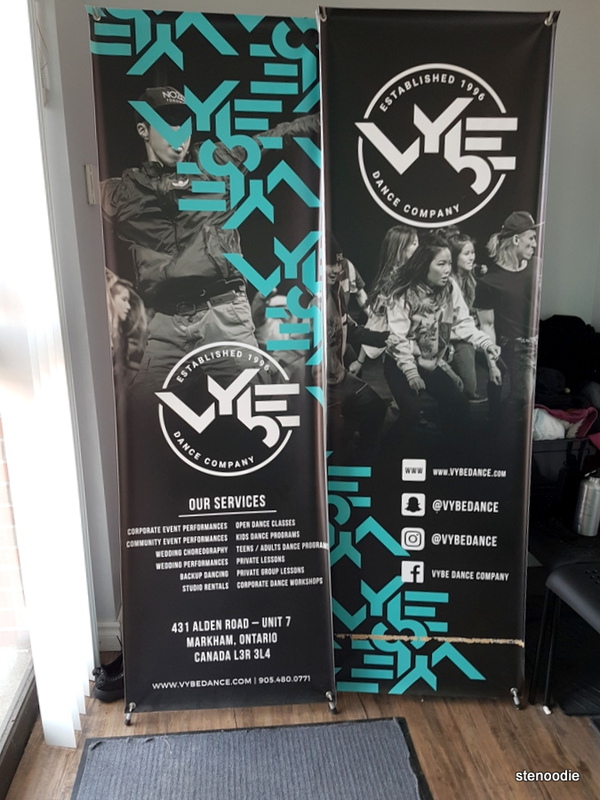 This entry was posted in Fitness, New Experiences and tagged 431 Alden Rd #7, @VYBDANCE twitter, drop in hip hop classes, hip hop dance classes, hip hop dancing in Markham, Markham, Markham dance studios, new experiences, urban choreography dance classes Markham, VYbE dance, VYbE Dance Company, VYbE Dance Company class performances, VYbE Dance Company dance studio, VYbE Dance Company open class schedule, VYbE Dance Company prices. Bookmark the permalink. My pleasure! I love new experiences and this was certainly a fun one! 🙂 I’ll be back! Wow!!! This looks so cool! I was trying to find you in the video!!! The K-pop class sounds so interesting! Hehe maybe I’ll try it one day!